Tooth extractions are sometimes required to remove problematic teeth in order to prevent further damage to the gums or surrounding teeth. Most often, teeth are extracted because of severe decay or damage. Another common reason for teeth extractions is to remove impacted wisdom teeth. In some cases, teeth extractions may be followed by the placement of an artificial tooth, or dental prosthetic. After your tooth is removed, a blood clot will remain in the socket. This blood clot will protect the underlying nerves from being exposed to external stimuli. Because of this, you will need to preserve this blood clot by eating soft foods and not sucking from a straw. Damage or decay: if the amount of damage or decay makes the tooth unable to function properly, then it is best to have it removed and replaced with a dental prosthetic, such as a dental implant. Orthodontic treatment: if there are too many teeth, known as overcrowding, some teeth may be removed prior to orthodontic treatment to ensure the best results. When this is the case, the first premolars are generally removed. Impacted wisdom teeth: most wisdom teeth do not erupt properly, and they can cause damage to the bone, gums, nerves, blood vessels, and adjacent teeth. In these cases, they are usually removed before developing a complete root system. Baby teeth: in cases where the baby tooth is not in the correct position, it may be removed to prevent the permanent tooth from erupting improperly. However, the only way to truly know if you need a tooth extraction is to schedule a consultation with Dr. Ross Quartano and Zach Staples of Magnolia Dentistry so they can thoroughly examine your mouth and take dental x-rays to evaluate your tooth roots and underlying bones. Only then can they develop an effective treatment plan that may or may not require a tooth extraction. 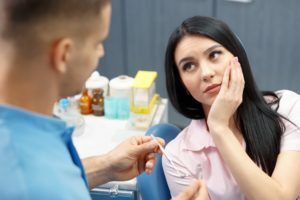 How do I prepare for my tooth extraction? If you are going to have a tooth extraction, you will need to discuss your medical history with our dentists. This includes listing any prescription medications, vitamins, supplements, and over the counter medications that you are currently taking. This also includes telling our dentists if you have any of the following: a congenital heart defect, diabetes, liver disease, thyroid disease, renal disease, hypertension, an artificial joint, damaged heart valves, adrenal disease, an impaired immune system, or a history of bacterial endocarditis. In the days before your procedure, you may be given antibiotics to take. Antibiotics can be given ahead of time if the procedure is expected to be long, you have an impaired immune system, or if you have a medical condition that may affect your healing. Be sure to take any antibiotics as directed. The night before surgery, you will also need to avoid eating and drinking for 6-8 hours prior to your procedure. The day of surgery, you will want to dress comfortably in a loose fitting t-shirt and closed-toed shoes. You should avoid wearing flip-flops because they can cause you to trip when trying to walk after being sedated. If you are a smoker, you will need to avoid smoking before and after the procedure. Finally, if you have any cold symptoms, nausea, or vomiting, you will need to tell our dentists. 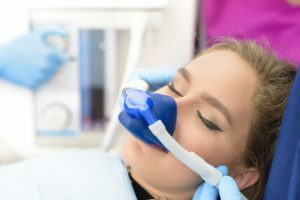 What types of sedation are used for tooth extractions? There are different types of sedation available: oral, inhaled, and IV sedation. Oral sedation uses a Halcion pill taken usually the night before and the morning of your procedure. Inhaled sedation uses nitrous oxide gas inhaled during the procedure. Both oral and inhaled sedation will make you calm, while allowing you to remain conscious. IV sedation can be either local anesthesia or general anesthesia. Local anesthesia is a deeper level than oral or inhaled sedation, but will still allow you to be somewhat conscious. General anesthesia will make you completely unconscious. 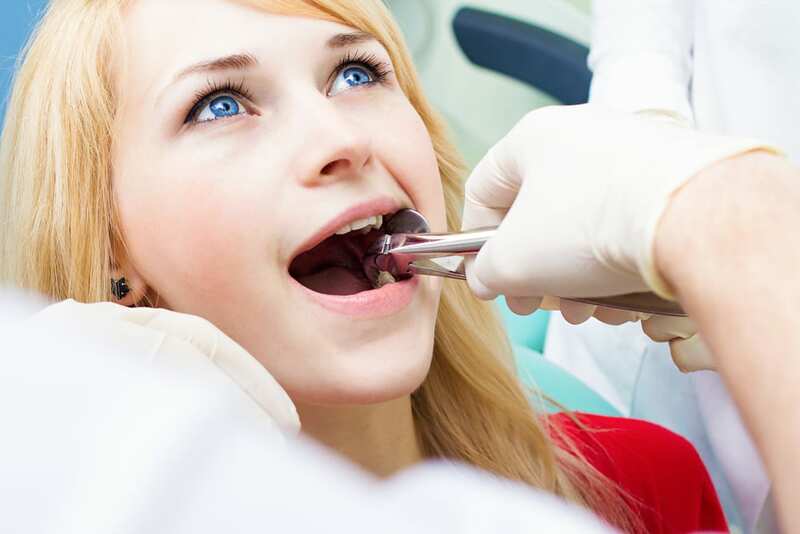 What can I expect when having a tooth extracted at Magnolia Dentistry? During your tooth extraction at Magnolia Dentistry, you will be anesthetized and sedated to keep you calm and comfortable. There are two possible types of extractions that may be performed: simple or surgical. Simple extractions are performed when the tooth is entirely visible above the gum line. For most simple extractions, oral or inhaled sedation is generally used, as well as local anesthetics. During a simple extraction, a tool called an elevator is used to loosen the tooth and then forceps are used to remove it. With a simple extraction, you may feel pressure, but never pain. Surgical extractions are performed when the tooth is completely or partially impacted, or under the gum line. Most often, local anesthesia through IV sedation is used for surgical tooth extractions, however sometimes general anesthesia is used as well. During a surgical extraction, our dentists will cut into your gums to access the tooth requiring extraction. Then the tooth may be cut into pieces and possible bone around it may be removed so that the entire tooth, and its roots, can be extracted. After your tooth extraction, you can expect to experience mild swelling, pain, and possible bleeding or bruising. You will also likely feel groggy as a result of the sedation, especially if you had local or general anesthesia. To reduce your pain, swelling, and to keep you comfortable, it is recommended to relax with your head elevated in the days directly following your extraction. You may also want to use ice/hot packs 20 minutes on and 20 minutes off to alleviate swelling. For the first 48 hours after surgery, ice is recommended. After that moist heat is recommended. It is also important that you keep the extraction site clean and avoid damaging or dislodging the blood clot. This means no drinking from a straw or smoking. Our dentists will also provide you with information on how to keep the extraction site clean and may even prescribe antibiotics. You will also need to avoid eating warm or hot foods for the first 24 hours after your extraction because they can cause bleeding. Cool, soft foods are recommended for the first few days. After that any soft foods are good and can include applesauce, pudding, jello, steamed veggies, fish (without bones), pasta, scrambled eggs, cottage cheese, beans, and soups. The cost of your tooth extraction depends upon the type of extraction and the type of sedation used. Simple extractions are less expensive and can range from $75-$200 per tooth, while surgical extractions are more expensive and range from $800-$4,000. If you have dental insurance, you will usually be able to receive some level of partial coverage to offset the total cost.